Might a traditional focus on writing and oratory to persuade (e.g. speech; formal debate) rather than consider, be encouraging students to develop a single perspective? In what ways might a strong focus on persuasive argument have unintended consequences when transferred to online environments, and also embody norms and dispositions that are inadequate for interactions, values, and thinking in the 21st century? 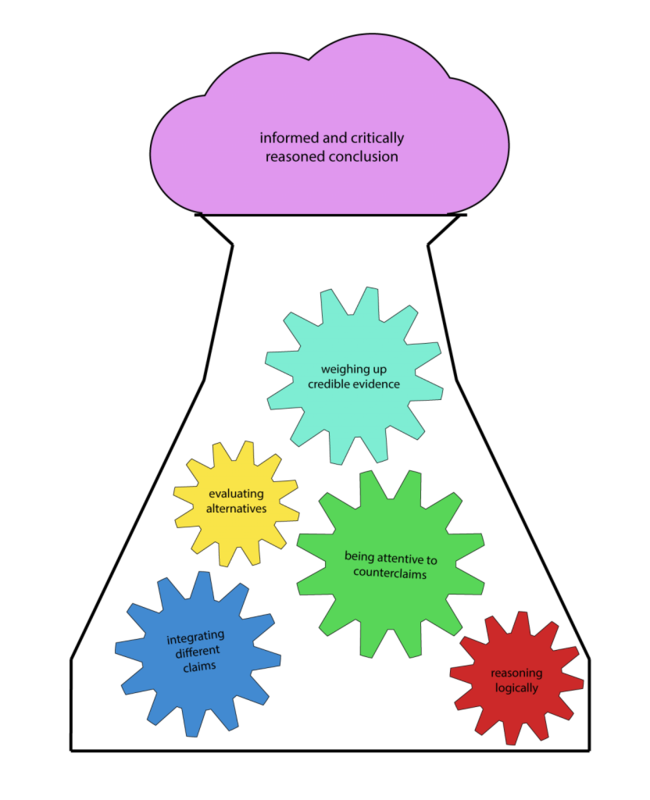 How might the use of online discussion platforms be integrated into everyday literacy work to provide opportunities to practice argumentation instead of persuasion? With these questions in mind, the Developing in Digital Worlds team developed an online discussion board as a digital learning tool for students. We chose an authentic, local topic that was sure to provoke different perspectives, and asked students to consider the issue from multiple sides before posting on Google Groups about it. Click on the slide decks below to access a sample of each argumentation tool. The topic for the first iteration of the tool was Taylor Swift’s 2015 visit to New Zealand in which she filmed the music video Out of the Woods. When filming part of the video on Bethells Beach in Auckland, her production company caused upset to the public when they allegedly took 12 vehicles onto the beach instead of the permitted 2 vehicles. The extra vehicles were said to have threatened the saftey of the dotterels who live there (a species of bird that is already endangered). After reading about Taylor Swift’s visit from multiple news sources, students were required to engage in a Google Groups online discussion board with their classmates and think critically about how the New Zealand media portrayed Taylor’s visit. The activity proved to be challenging and motivating for students, helping them to develop the cognitive and social skills needed for a 21st century education. 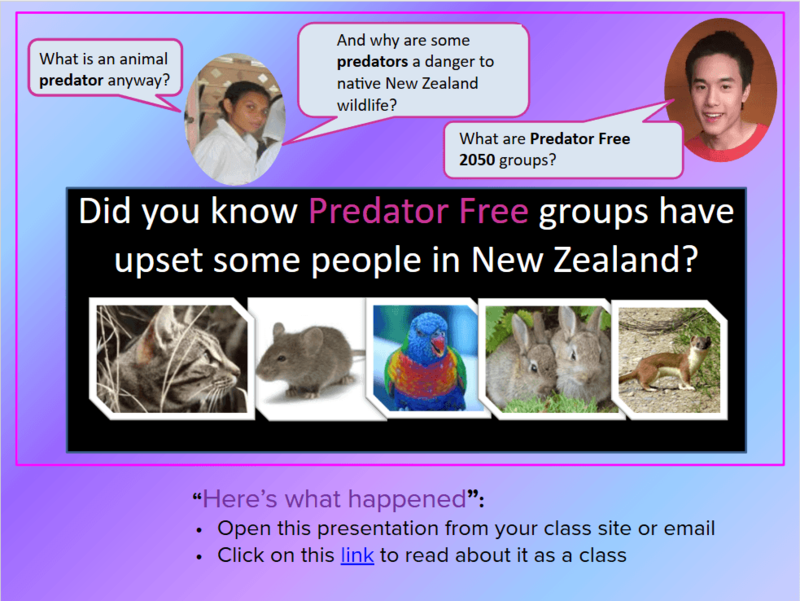 The second iteration of the tool used the topic of “Predator Free 2050,” and asked students to consider whether animals that are called “pests” by predator free groups should be treated with more respect. To the right is a screenshot of the top of the Google Groups discussion board. Teacher guidelines and suggestions for follow on activity design. The format of asynchronous written posts was very successful and could be used with any online discussion board medium, such as wikis or forums. Argumentation is to be able to make and respond to claims that are supported by logical reasoning, credible evidence, and evaluated alternatives in order to reach informed conclusions. More specifically, it is the ability to substantiate, and evaluate, the integration of claims, reasoning and evidence to support rational decision making or belief, while also giving appropriate attention to counterclaims, reasoning and evidence that informs a critically reasoned conclusion. in home settings: parental instructions; teenage curfews; Boston Legal. in individual situations such as a piece of writing, there can be integration and critical incorporation of other voices, reasons, positions, and evidence. Argumentation is a 21st century skill. With an abundance of information available at their fingertips, students growing up in the digital age need to be able to navigate and evaluate that information. This requires students to weigh up contradictory claims, incorporate diverse evidence, and reason alongside their peers. The collaborative nature of argumentation helps students to develop perspective taking and reflection, as well as critical thinking. Copyright © 2019 Developing in Digital Worlds. Powered by WordPress. Theme: Accelerate by ThemeGrill.